by Shane de Lange (@shanenilfunct) Many points from my last two columns — 2018 in review and Top 5 South African covers of 2018 — are mirrored in this week’s selection of the best international print covers of 2018. In contrast to the top five local covers, there seems to be a clear support base for independent publishing internationally, with each publication contributing its own brand of experimental editorial design. Recalling last week’s sentiments, quality crafting, good taste, excellent form, conceptual acumen, layered narrative and exceptional execution are some of the qualities that influenced this Top 5 International list. 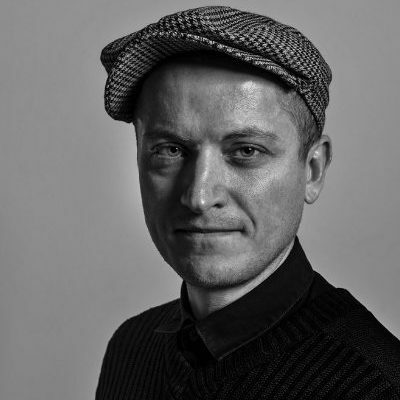 As opposed to many facets of the local publishing industry, or any of the creative industries in South Africa, the overall goal globally appears to be strongly in favour of the production of culture, and not the blind consumption of it. As was the case in my selection last week, consistency and diversity of quality production are important, alongside a healthy balance between craft and concept, substance and style, surface and depth. The confluence of art, craft, discourse and design is positively a cultural ‘royal flush’. Ordinary magazine has succinctly created one such confluence, recalling the cultural leap that Marcel Duchamp took with a readymade urinal in 1917, in his pioneering conceptual artwork titled “Fountain”. Each issue of this quarterly has a theme dedicated to an object from everyday life, with the seventh issue focusing on the not-so-humble straw. 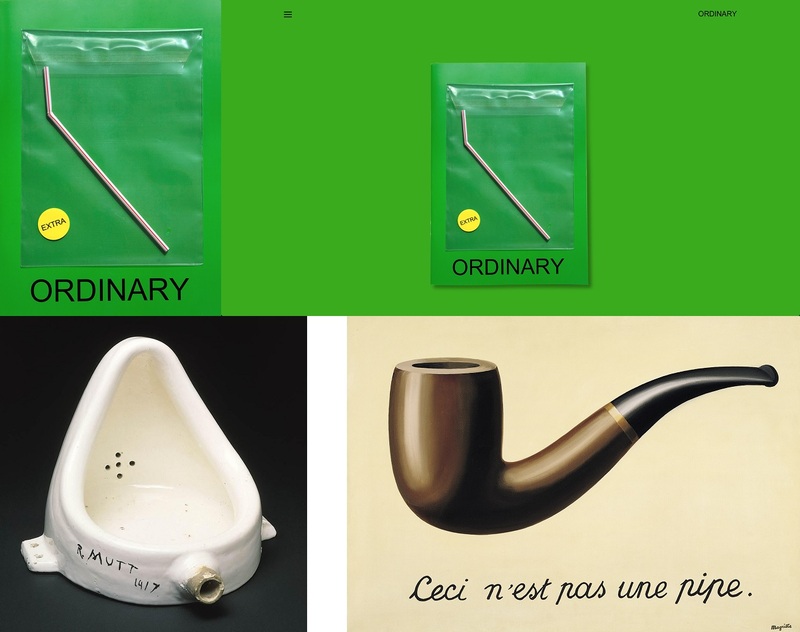 A subtle parody of Rene Magritte’s 1929 painting, “La Trahison des Images” (The Treachery of Images), which states “ceci n’est pas une pipe” (“this is not a pipe”) under an image of a pipe, a straw performs as a small pipe on this cover. A silent protest, this is an actual straw, and the fact is straws are mostly made from plastic, and plastic accounts for a lot of waste today, contributing hugely to the pollution of our oceans and severely affecting the creatures that live in them. The formal, philosophical, aesthetic, ethical and conceptual engagement that every ordinary object gets from Ordinary magazine is far from ordinary. A happy marriage of surface and substance indeed — and synergy across different media, with a well-presented website to boot. Defying stereotypes about the gaming industry, the inaugural issue of A Profound Waste Of Time (APWOT) showed that gaming has successfully transitioned from the doldrums of geekdom into the open world of cool. APWOT is a self-funded magazine, the product of an effective Kickstarter campaign, printed in a regular edition and a limited special edition (sporting a unique glow-in-the-dark cover). With completely sold-out first edition, APWOT is a testament to how culturally influential independent publishing can be. The magazine successfully promotes the gaming industry and discourse surrounding gaming culture, elevating the production of games to the level of art and design, particularly in the context of storytelling and immersive experiences. 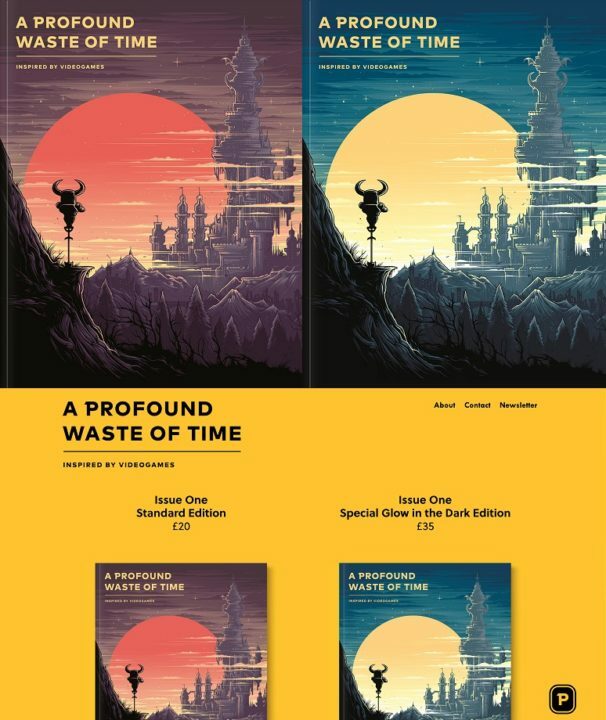 The cover is illustrated by celebrated London-based illustrator, Dan Mumford, famous for work he has done for Disney, Sony, CBS and many more. 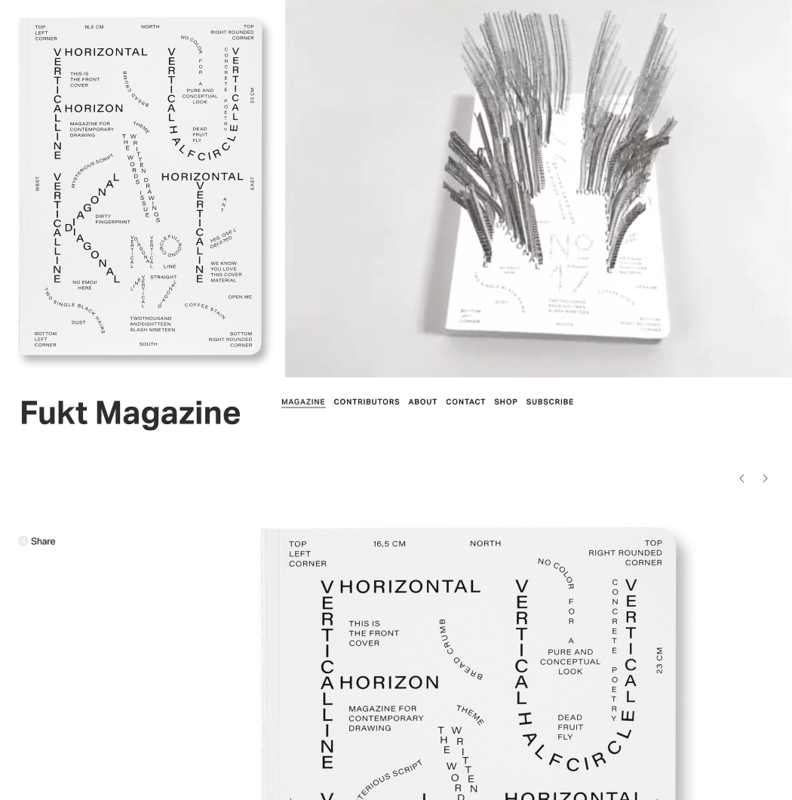 The magazine’s one-page scrollable website is also worth mentioning for its simplicity in design and style, substantiating the tasteful sensibility of the print publication. McSweeney’s quarterly is a creative platform that promotes contemporary writing and drives awareness of new and relevant authors across various kinds of media, notably through the use of print and online platforms. Designed with conceptual playfulness, issue #53 of McSweeney’s magazine is reminiscent of a children’s lucky packet, with its bespoke Ziploc-style packaging, and eccentric selection of surfaces used to print on. Eight party balloons are perhaps the most-striking feature of this cover, which need to be blown-up for one to read the stories that are printed on them. The vinyl-bound hardcover is also a quality piece of magazine craft, illustrated by a yet-uncredited illustrator. Issue #17 of Fukt, themed “The Words Issue”, is composed of various ‘written drawings’ which reminds one of the conceptual, language-based, work of SA artist, Willem Boshoff, and the work of American conceptual artist, John Baldessari, before him. The cover was designed by Ariane Spanier, hailing back to the concrete poetry of Stéphane Mallarmé and Guillaume Apolinaire, and literally comes alive with the use of augmented reality (AR). An appreciation of well-written, meaningful words presented in an artful way is needed now more than ever, and this issue certainly does so with some heavy-hitters, including Ed Ruscha’s word drawings, and Sol LeWitt’s notorious instructions on how to properly execute his drawings. Other important contributors include designer Paula Scher, artist Roni Horn, and poet Henri Chopin, among many others. As this magazine’s name suggests, time may go by with change as the only constant, but some things are surprisingly timeless. There are two things in this regard: the sport of skateboarding and the grunge-design aesthetic pioneered during the ’90s. As an indie publication, Same Old brings out the timeless qualities that skateboarding has somehow maintained, with generations of young people crafting their lives around the sport and, in turn, defining their adult years in the ‘same old fashion’. The cover for issue #24 featured work by iconic graphic designer, David Carson, known for his considered approach to the grunge movement. Often spoken about in the same breath as Raygun magazine, Carson democratised the face of graphic design in popular culture, turning typography into an expressive discipline. His well-known use of interference, fragmentation and disturbance deconstructs a familiar scene on this cover: a heavily populated desktop, glitchy and messy, accented by screen burn and pixilation. 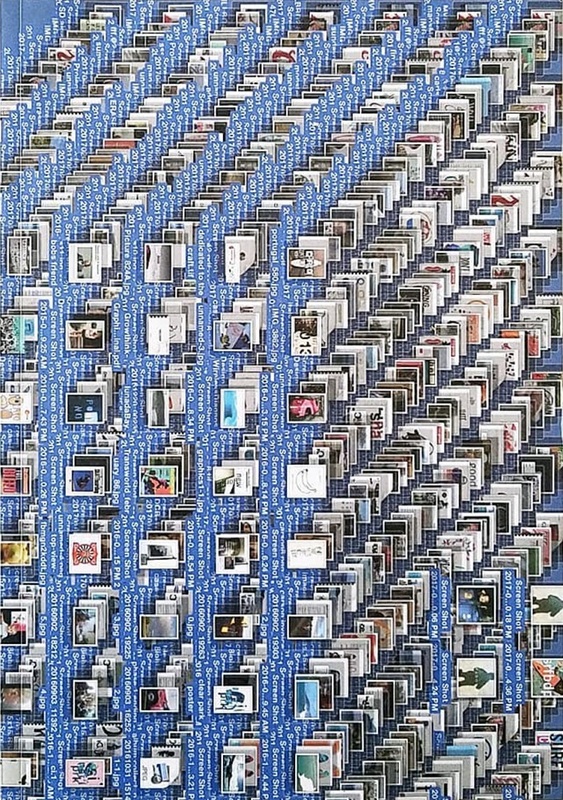 It’s a poetic merger of digital and analogue (print) world. Conceptually sturdy, the cover visuals carry a nostalgic, quasi-retro narrative in a relatable manner while preserving a sense of experimentalism and the cultural dynamic innate to skateboarding.